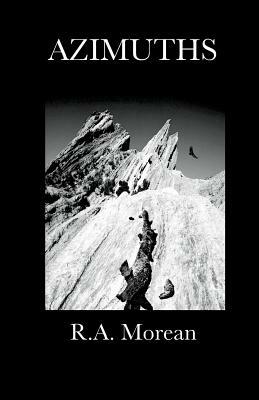 Rebecca Arlene Morean, 9780996292030, 228pp. Raceway Trailer Park sits on the lip of the Mojave. What sifts under the sand are mysteries--a fossilized whale, a particle accelerator, and calculated dreams of escape. Above live five unique women: Hattie, who tries to find her dead mother's face in her own; Kinni, the veiled survivor of Nagasaki; Melody, the orphan who nurses wayward children; Lani, who uses a camera to create distances; and Oxena, who can't decide if she loves or hates her husband of forty years. And the men struggle with the bloodstain of history. A story of emotional and physical paralysis, Azimuths unfolds as voices converge. Each character remains on a singular trajectory, yet all are connected as they try to figure out who and why to love and how to move forward with their lives.